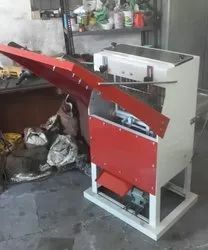 Manufacturer of a wide range of products which include bread slicer, table top bread slicer, automatic bread slicer machine and commercial bread slicer machine. We are one of the leading manufacturers engaged into offering optimally designed Automatic Bread Slicer Machine . 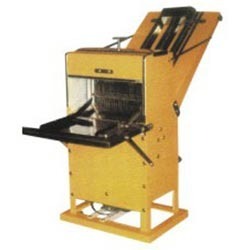 The offered machine is designed and developed with precision and has HP electric motor. The offered machine is widely acknowledged for its tremendous capacity of slicing a good number of bread loafs. 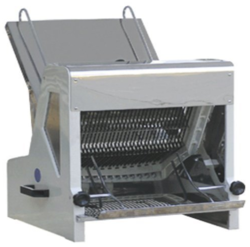 We are offering our clients this exclusive range of best quality Commercial Bread Slicer Machine This range has been made to offer a quick and in-no-time preparation of bread from huge loafs. Basically this motor has a much more capacity than the above model and is preferred for huge preparations. We are availing this range in the most comprehensive and industry leading prices. 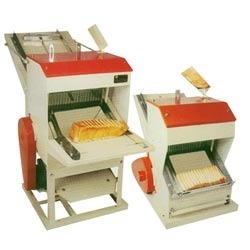 Looking for Bread Slicer Machine ?